Financial health is the sum of all the decisions made by an individual in his lifetime. This is why, you too may prefer to follow suit. Financial health is the sum of all the decisions made by an individual in his lifetime. Most of the people learn as they grow and so, the situation warrants that they be taught a thing or two about the nuances of money management, and how such issues affect their retirement. 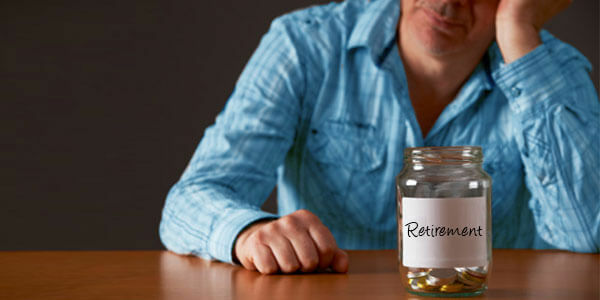 One of the best ways to start such an exercise is to let people find out about the financial blunders they usually make that lead up to poor nest egg, once they've retired. Have a rough estimate of your expenses - As the saying goes, you can't control what you don't calculate. Ask someone about his or her monthly expenditure and you'll get a list of items as well as few bills that has been made right there, off the top of the person's head. However, the moment he/she goes through his/her bank statements, bills and other financial documents, then he/she'll be mostly surprised on discovering the facts. In other words, an individual will get surprised when he/she finds out the actual place his/her money is going to. This is why, you too may prefer to follow suit. There is one way by which you can find out about your current monthly household expenses and that is to study at least 3 months old financial documents of yours and use a spreadsheet to note each one of the items down as per their category in it. Similarly, you have other options like online money management software or widgets to keep a track of all your expenses. Remember, whatever strategy you choose, it should work in your favor and you should be comfortable in executing it. Keep-up-with-the-Joneses attitude - As soon as you've got the exact picture of your household expenses and are aware of where your money is going, then the next most important course of action of yours would be to trim them down. The truth is that a lot of people make much lesser than what you do and they're making their ends meet with that, nevertheless. So, how much you earn in a month or a year doesn't hold any water in this regard. You'd be surprised to know about a group of people who set aside not less than 75 percent of their paycheck every month as savings for their retirement. This they do with an objective of retiring within the next five years or so. Now, the big question is from where will you start cutting down your household costs? For that, you need to ask what subscription or memberships that you have that are of no use to you at present? Did you shop around and weigh different offers of the same product like insurance, mortgage, credit card, cell phones, groceries, etc, before actually making the final purchase? Are you buying the latest car model in the showroom just to impress your neighbor or a colleague? Is there any way to pack in food for lunch in a better and more affordable way, rather than spend hundreds of dollars on restuarants bills or Starbuck coffees a week? The idea here is, you'll be amazed to find out how saving on these minor purchases can total up BIG! Pay very little on your credit card bills - If you pay just a little extra toward all your credit card accounts, then that's actually a better financial move as compared to not paying a single dime at all, leave alone making the full repayments on time. But, it'd be best, if you could make larger debt repayments towards the loan with the highest rate of interest and paying just the minimum on all the other ones, then that'll help you to become debt free much faster. As you pay off one debt after the other, your debt repayment amount should also get fatter in order to pay back the remaining credit cards accounts faster that charge you the highest interest rate. Pay foul with the bankruptcy court - This is one of the most serious and most unfortunate debt blunders you could ever make. In our country, bankruptcy fraud is considered a federal crime and you may get imprisoned, if charges against you are proved. The trustee can initiate adversary proceedings if he suspects you of defrauding the court. Some of the instances of bankruptcy fraud is concealment of assets, bribery, scams to safeguard the renters/homeowners, file false claims, destroy or hide financial statements and so on. Upon accusation of committing bankruptcy fraud, the trustee may refer your case to the federal prosecutors who'll investigate the claims and may eventually file a criminal case against you. Once convicted, you could face imprisonment, pay a hefty fine and bear a host of other penalties. Keep in mind that it takes a lifetime for most of the people to build a substantial amount of wealth. On the other hand, it would take just a couple of seconds to destroy that. Here, you don't require a wrong financial move or a decision to wreck your financial resources, but a series of good advices followed by their improper executions would make recovering from the setback an impossible feat for you to achieve. Therefore, to prevent any financial mayhem from befalling on you, it is advisable that you always keep a track of where your money is going, stay prepared for the disasters, add up to your income and spend less. The most basic call-to-action phrase here for you would be to act in the living present and not just plan for the future.